The dramatic and ever changing topography of Amakhala Game Reserve is host to an abundant tapestry of sights and sounds - you never know what you might see around the next turn of the land-rover track. The majestic lion, herds of elephant, buffalo and giraffe, cheetah and endangered white and black rhino make up the big game component. Amakhala Game Reserve is also home to substantial herds of plains game species including zebra, black wildebeest, red hartebeest, oryx and eland to name but a few. A recorded bird list of over 250 species on the reserve allows for great land based birding and further birding can be enjoyed whilst cruising along the Bushmans River. 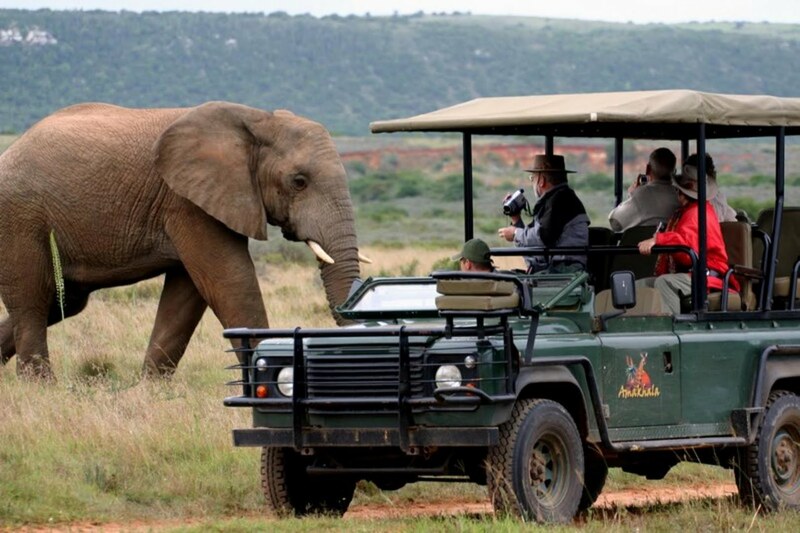 Amakhala Game Reserve in the Eastern Cape province of South Africa, 75km from Port Elizabeth, is malaria free. 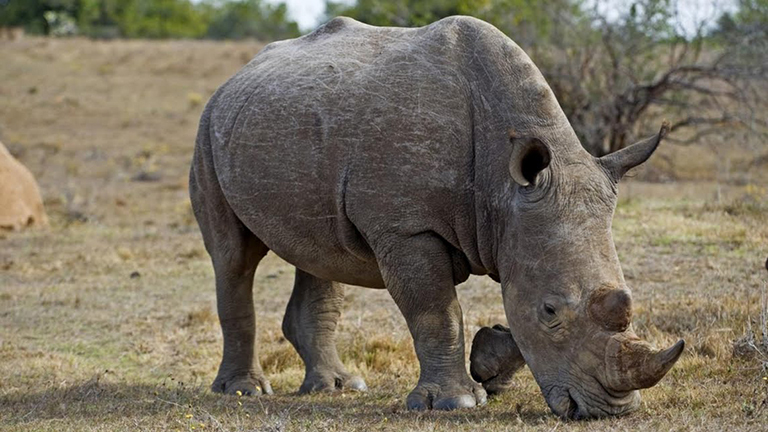 Since its inception in 1999 as a joint conservation venture between descendants of the orignal 1820 Frontier settlers Amakhala Game Reserve has been a unique conservation initiative that allows animals to be re-introduced to the area where they once roamed freely, and so making a contribution to the conservation of the natural heritage of the region. The land was originally used to ranch sheep and cattle up to the turn of the century. The challenge has been to re-establish the original flora and fauna species to the area and to return the land to nature, and today the 7 500 hectare Amakhala Game Reserve is one of the premier game reserves in the Eastern Cape. An exclusive camp with only five canvas and thatched safari tents, Amakhala Bush Lodge offers a rustic and traditional charm fused with a high level of comfort. The tents are all very comfortable and spacious and include en-suite bathrooms with a free-standing oval bath and romantic outside shower, double bed draped with mosquito net, fireplace, air-conditioning and a private viewing deck with a private plunge pool. 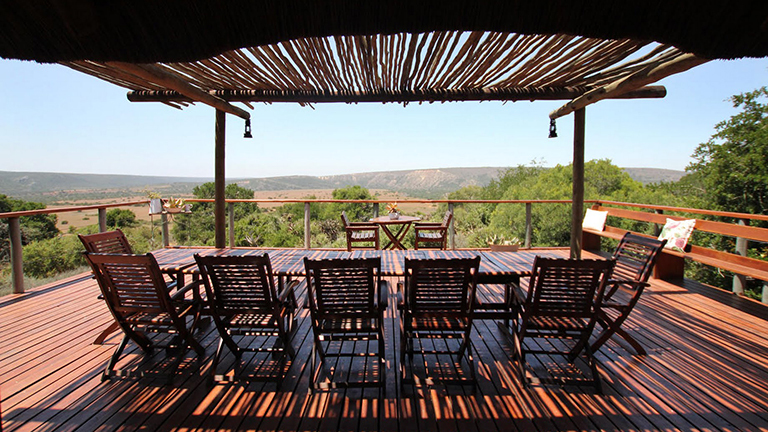 Hlosi Game Lodge is a family friendly safari lodge, set on a tranquil hillside overlooking a wide river plain and undulating grasslands, in the Amakhala Game Reserve in the Eastern Cape province of South Africa. The six luxury suites are designed in the spirit of a bygone era, and two of the suites have two bedrooms making them ideal family options. 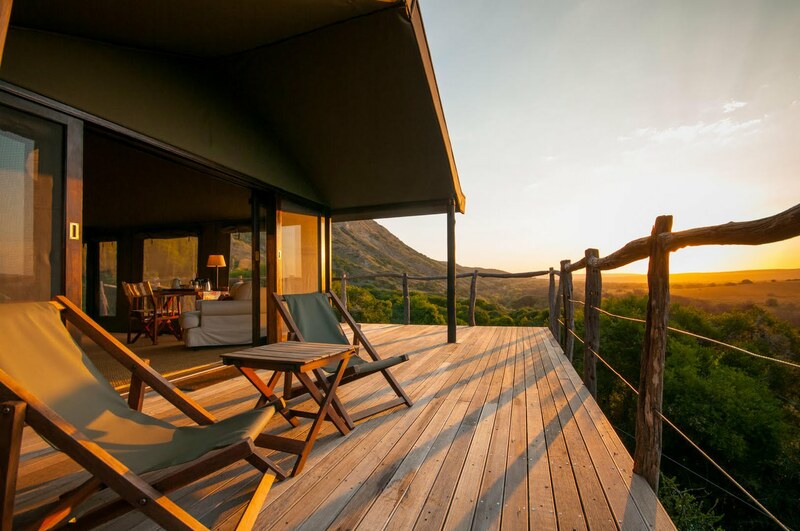 Woodbury Lodge, situated on the beautiful Amakhala Game Reserve, is spectacularly set against a cliff above the Bushman’s River valley, with genuinely stunning views. 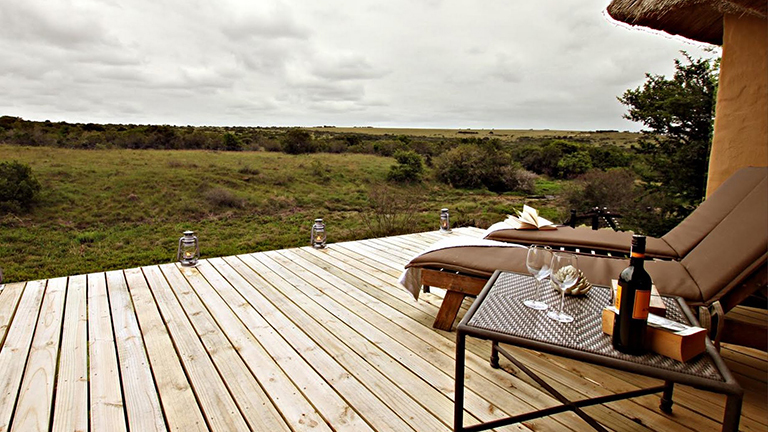 Guests are accommodated in six comfortably appointed stone-and-thatch lodges, each with a private patio and magnificent view of the reserve. A rustic camp for those looking for a very traditional tented safari experience, Woodbury Tented Camp is also elevated offering views across the open bush. 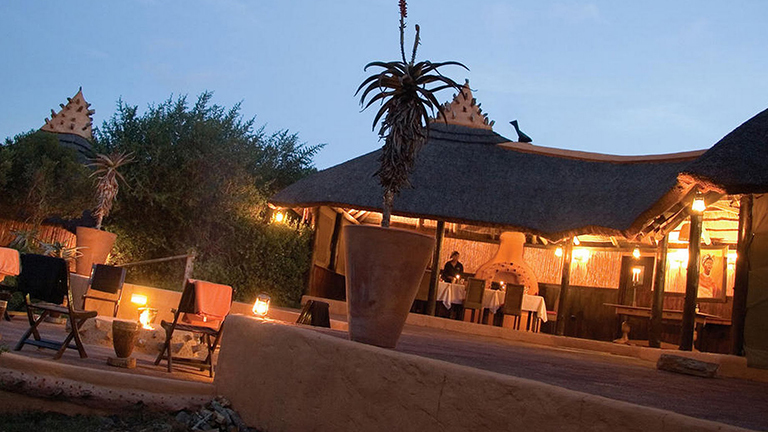 Situated on the northern boundary of Amakhala Game Reserve in the Eastern Cape is Amakhala Safari Lodge, an ideal malaria-free safari option after visiting Cape Town and the Garden Route. 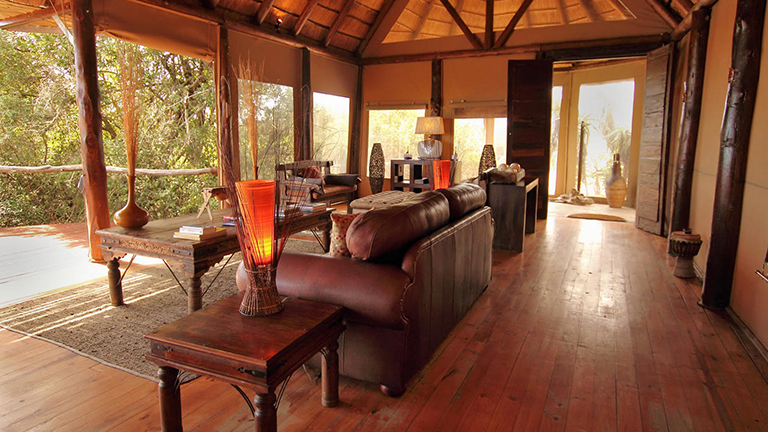 One of 11 lodges on this reserve, Safari Lodge lies in a valley of indigenous bush overlooking a waterhole.